Dennis performs the earth-breaking ceremony for the new longhouse as Juk (centre) and others look on. MARUDI: The longhouses and villages in Telang Usan constituency must have a master plan for proper and well-planned development. 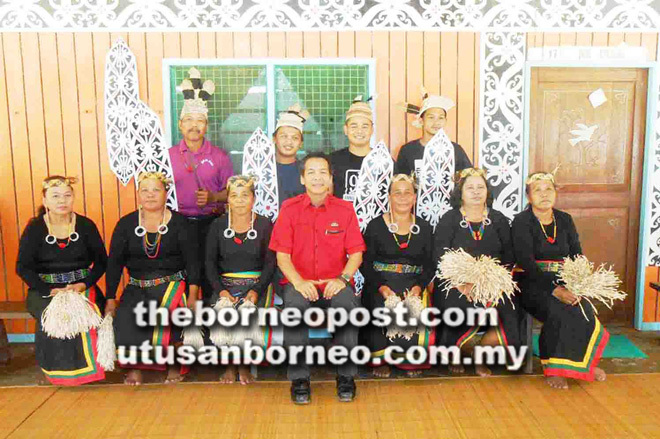 However, they do not need to employ a qualified and highly-paid town planner to do one as a simple one will do as long as there is a roadmap that the longhouse folks could agree and refer to as the way forward, said Telang Usan assemblyman Dennis Ngau. “To have a proper and long term village development plan could help to keep a rural village environment alive and may help reverse the serious rural-urban migration that is affecting most of the longhouses in Telang Usan and Baram today,” he added. Dennis made the remarks when officiating at the new site of Kampung Long Tebangan, Sungai Akah recently. He urged the young and educated children of Telang Usan to come forward and play an active and meaningful role by sharing and contributing ideas on how their village should be developed to suit their liking and modern day lifestyle. Kayan women perform the welcoming dance at the function. “You cannot just be a keyboard warrior and criticise your own village’s weakness or shortcoming without you yourself lifting a single finger to help in making your longhouse a better place to live in. Everyone wants to have an ideal place to live in and this could only happen when everybody pools their strength and resources together,” Dennis reminded. He said it is essential that rural people have a shared vision and action plans to give everyone connected to the longhouse a sense of hope and belonging. At the same time, he urged community leaders to encourage the young folks to come back and live in their village. “And to attract them, efforts must be made by longhouse leaders to prepare a site for them to build their home. 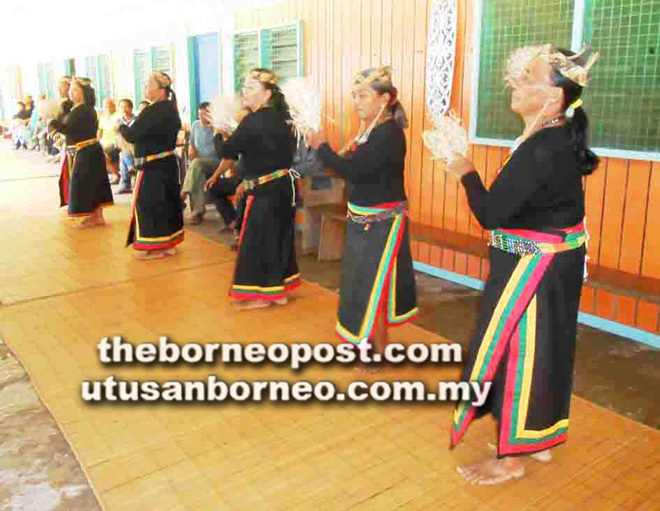 Even if they do not stay at the longhouse most of the time, we hope that having a place they call home back in the village will encourage them to return to the village on regular basis,” he said. On a related note, the assemblyman also suggested the setting up of village building approval committee to avoid problems of unorganised houses which hamper the building of access roads between houses as what had happened in certain villages. Dennis (seated centre) posing with the dancers at Long Tebangan. He was glad to note that almost all longhouses in Telang Usan constituency had shown keen interest to open up areas around their village for the building of new houses. “On my part as your people’s representative, I will continue to work hard together with the Sarawak state Government to bring in roads, water supply, 24-hour electricity and other amenities that we need so badly,” he said. The new site can accommodate more than two rows of longhouses with 20 doors each row. Long Tebangan is a 60-door Kayan longhouse. It is a very remote settlement located along the Akah River and can only be reached on 4X4 vehicles by seven hours’ journey through a logging track from Miri City. Present were Cr Dominic Nyurang and TK Juk Emang.